The Claremont range has a traditional design, manufactured to the highest standards using the latest technology. 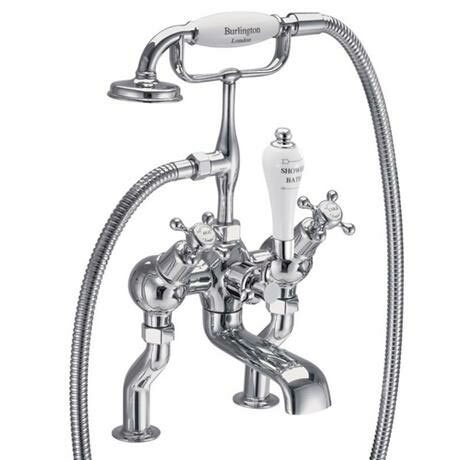 This product features the tap heads tilted or "angled", it is a deck mounted bath/shower mixer.Product comes with a Decorative Swan Necked Adjuster for Showerhead with option for High or Low Level Display (High Level Pictured in main image). Q. Can this tap be used with your bath legs?